THOUGHTSKOTO Thoughtskoto : FAKE NEWS: Carton Boxes Not Allowed In Saudi Airports Text Message Gone Viral! 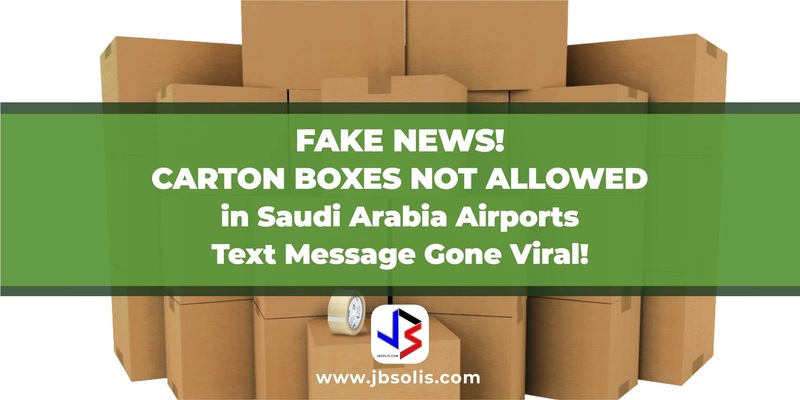 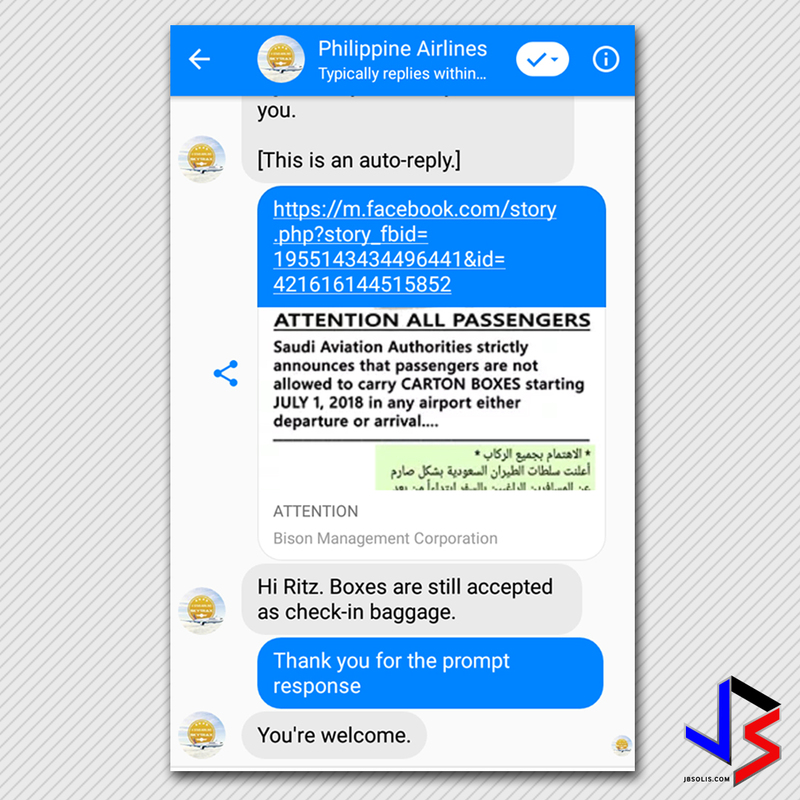 FAKE NEWS: Carton Boxes Not Allowed In Saudi Airports Text Message Gone Viral! 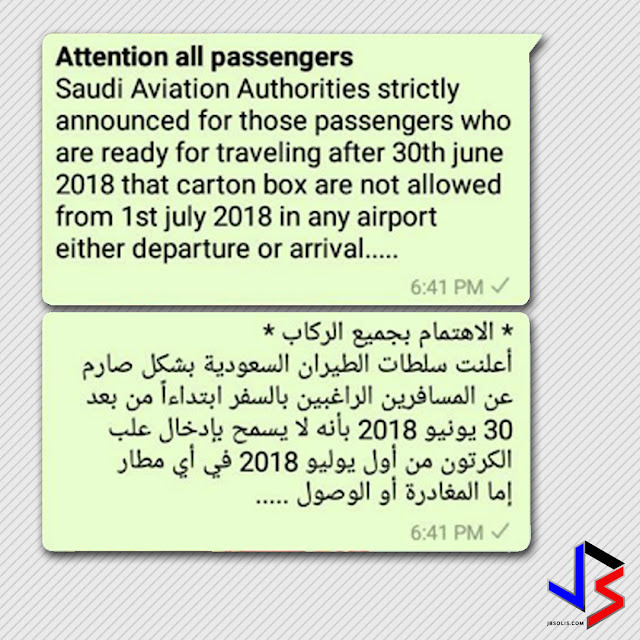 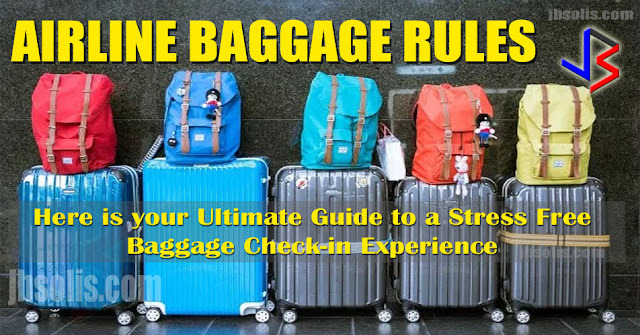 This has created confusion and alarm among online users, especially those passengers who are departing and arriving in Saudi Arabia on the dates mentioned. 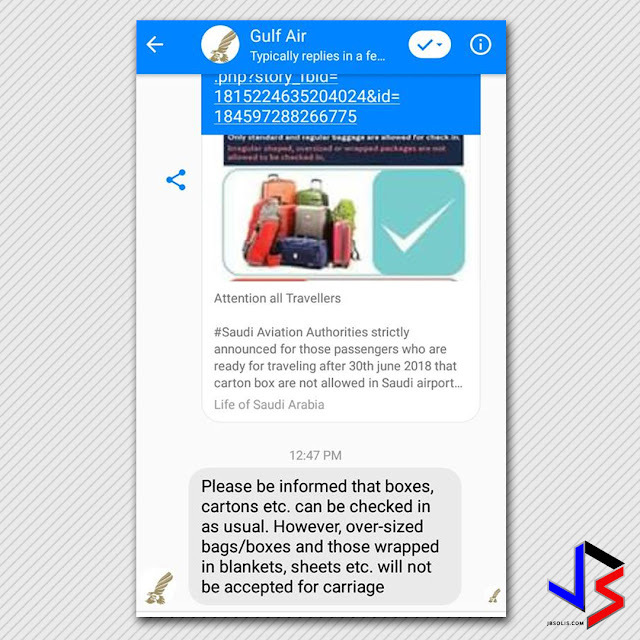 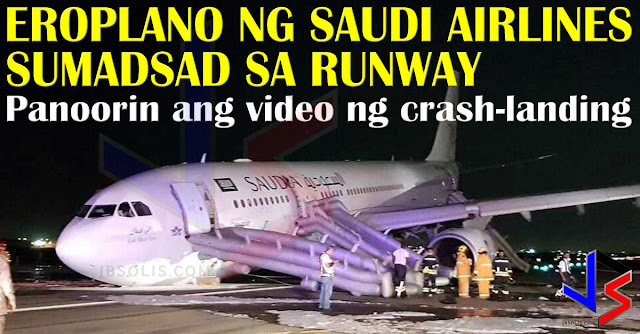 Two airlines have verified that such text message or announcement by SAUDI AVIATION AUTHORITIES is not TRUE. Should you be travelling with other airlines in Saudi Arabia, please make sure with your airlines that your carton boxes are still accepted.